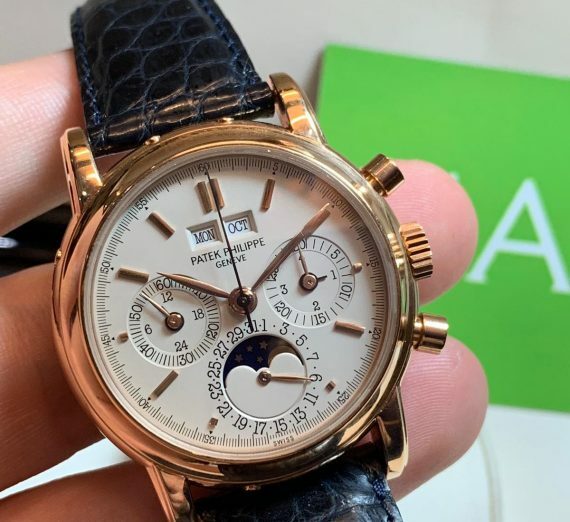 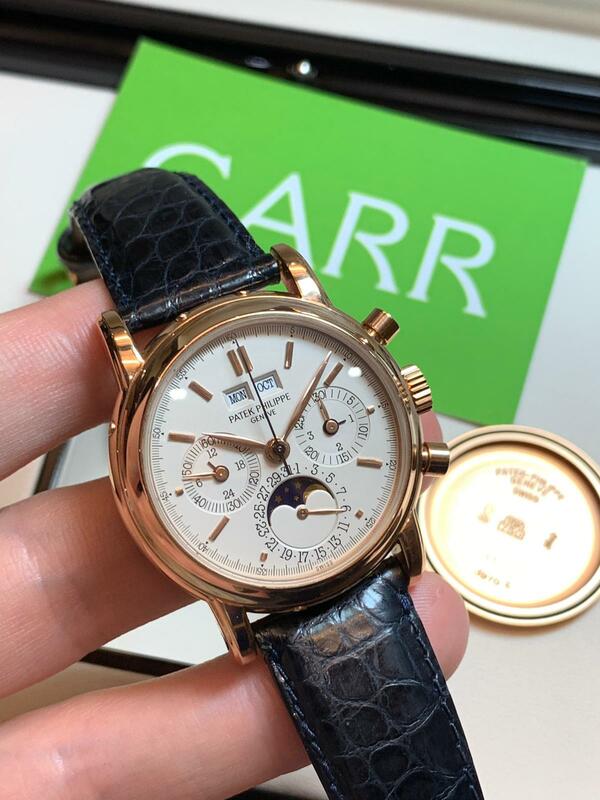 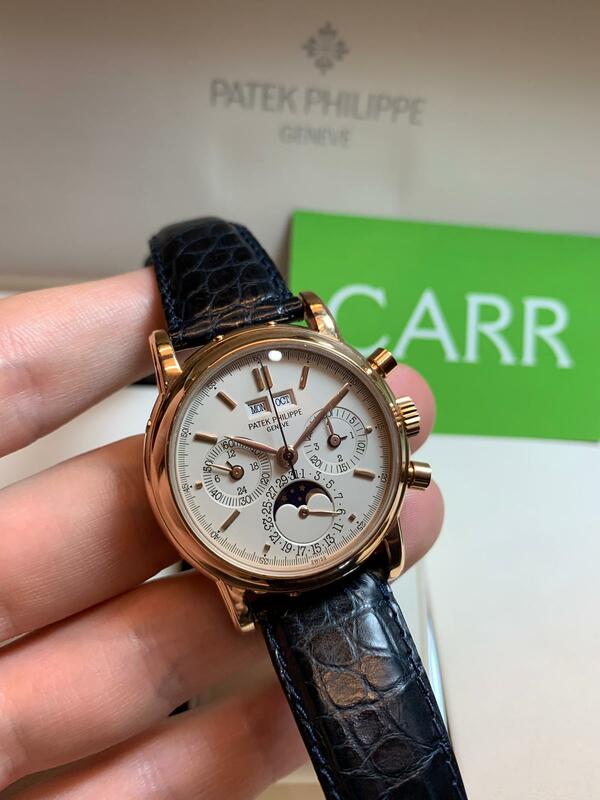 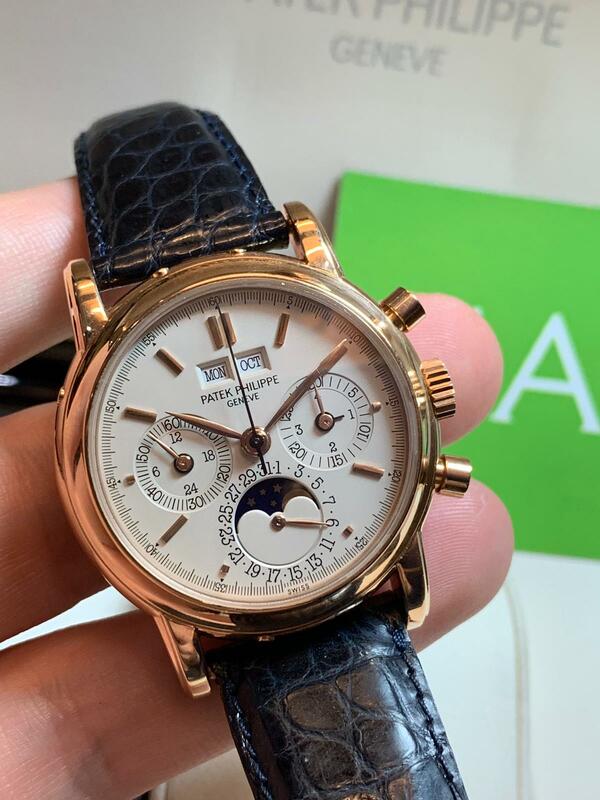 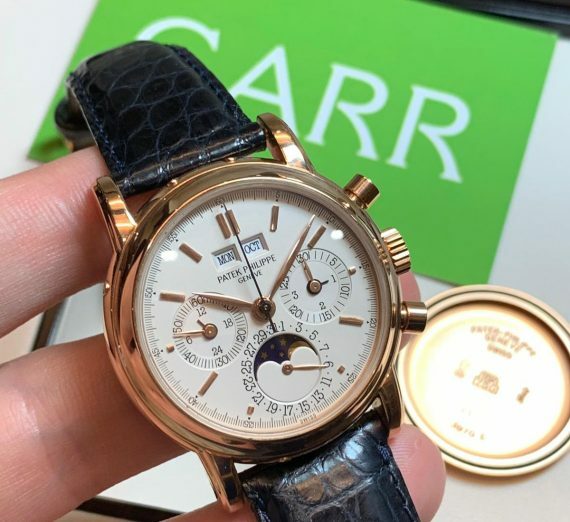 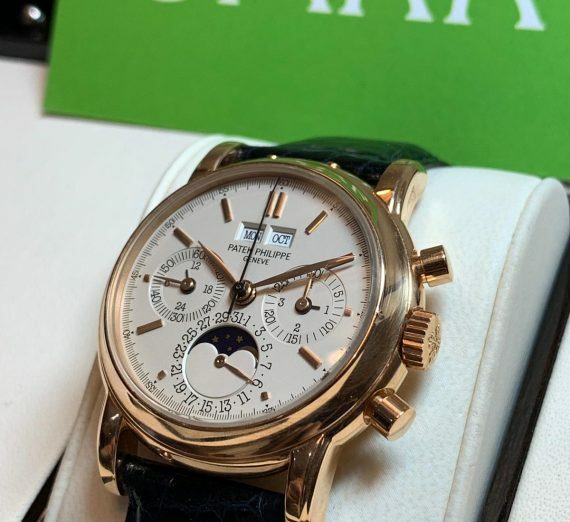 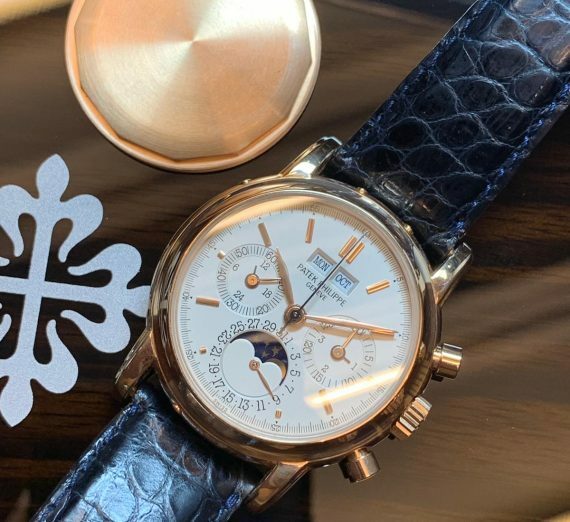 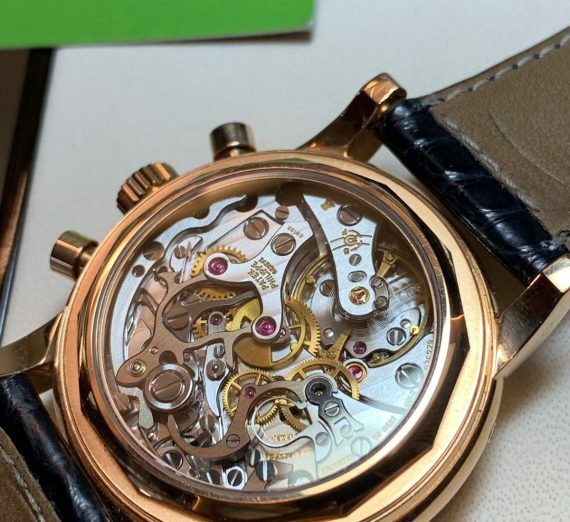 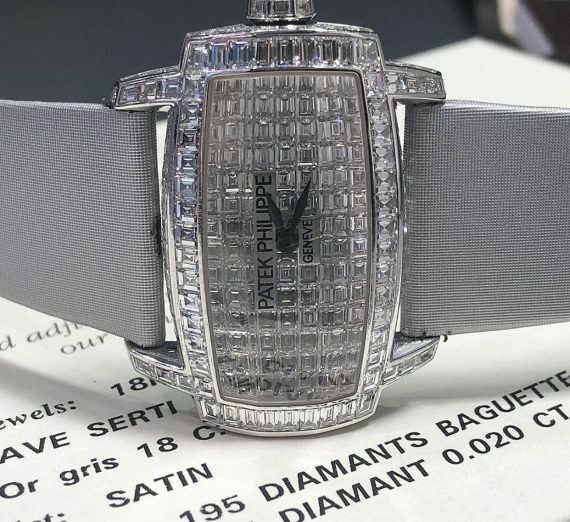 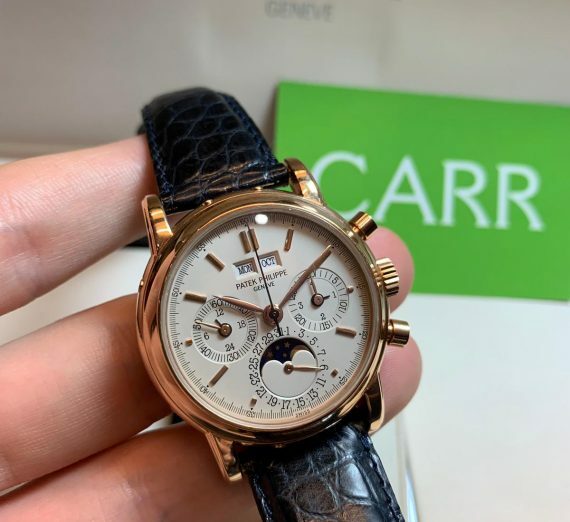 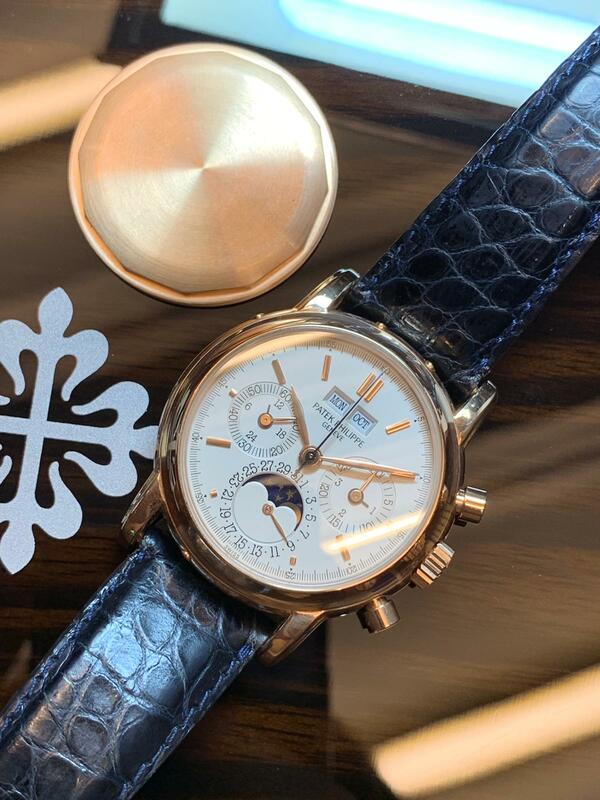 A 18ct yellow gold round case Patek moonphase chronograph. 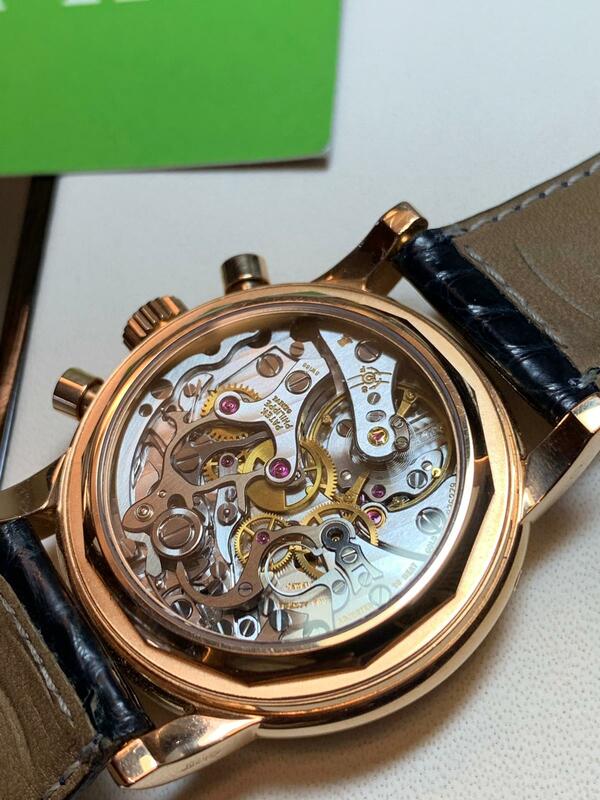 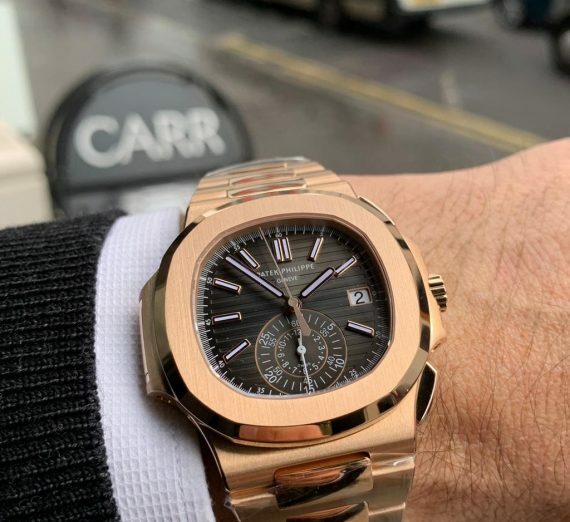 Being a low manufacture model from 1999 and having the R in the reference meaning this model is water resistant. 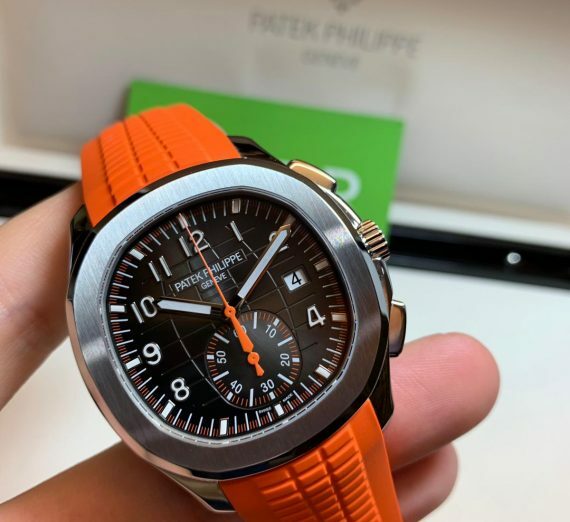 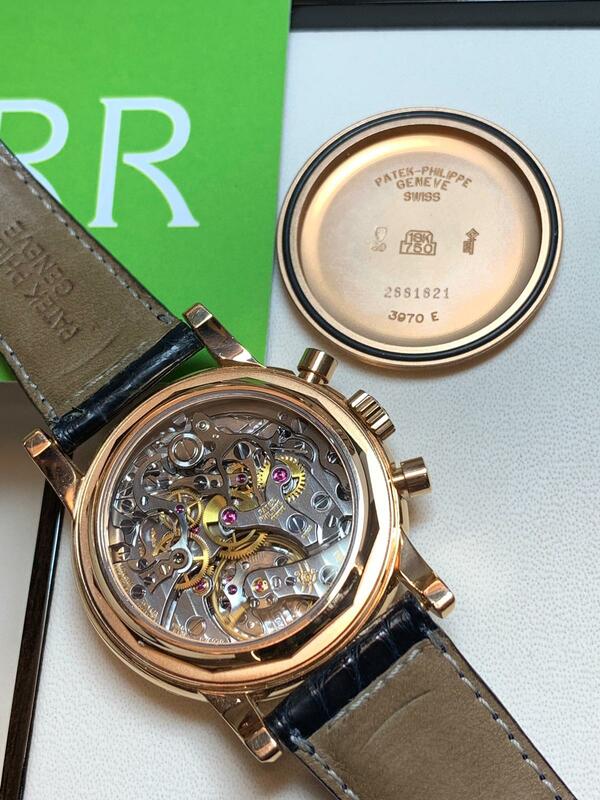 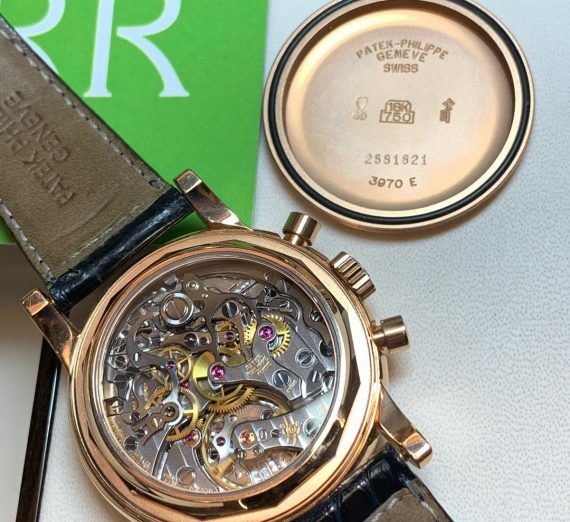 This tasteful 37mm round case model has a silver dial and a brown croco strap with folding clasp. 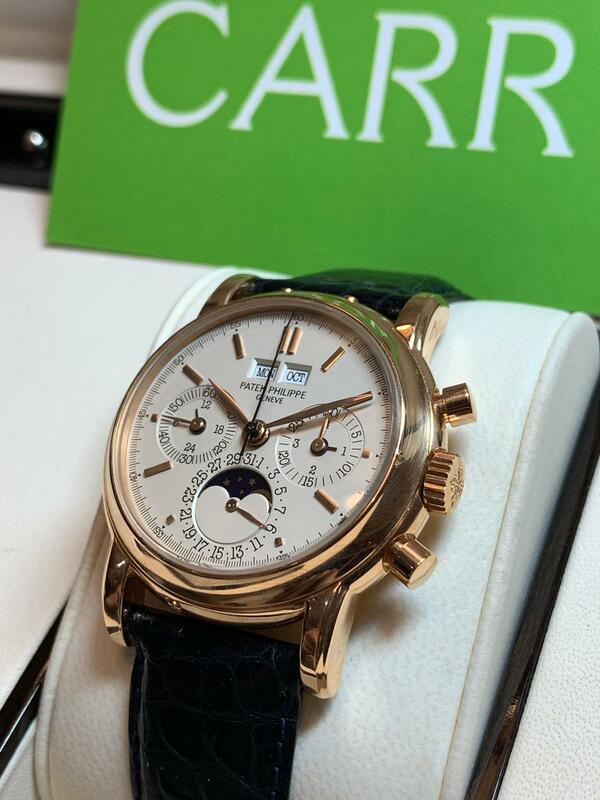 Available complete and as new.